For those of you looking for a helmet with a face cage and would prefer not to inherit an ex-ice hockey helmet doused in years of someone’s winter sweats, we’ve stumbled upon O’Niells. They’re an Irish mob that have been making personal sports protective gear since 1918, who’ll laser print your team logo and your name on your new helm and ship that bay boy to your door for a grand total of AUD$105. 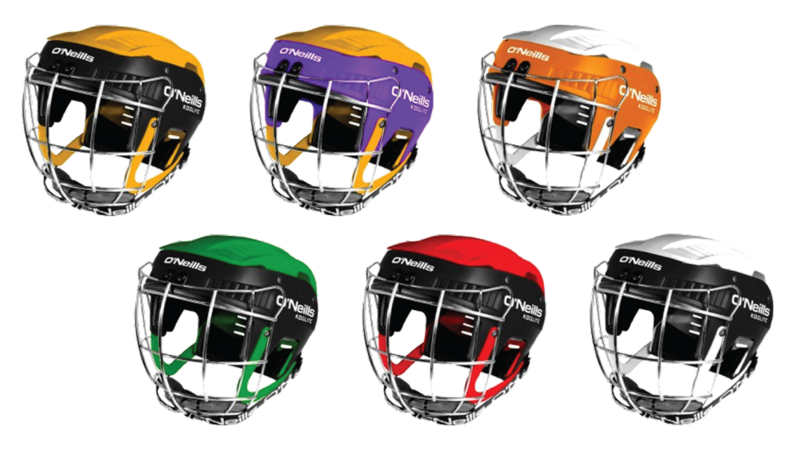 It’s important to note that these hurling/camogie helmets are aimed more at shielding the whole head from sharp contact with a speeding ball or mallet. They are not aimed at protecting the cranium from impact from the ground in a fall, though there is obviously some cushioning. In saying that, they offer more protection than weaing no head protection at all. When it comes to helmets, the only part of the conversation which doesn’t seem contentious is the notion that everyone should wear one. They’re light, come in roughly a million colour combinations and have a removable, one-piece lining that can be washed when that stank gets too much to wear. If all this went straight over your head, this video says pretty much the same thing and shows off the non-sweatshop-esque work conditions in the factory at the same time. This entry was posted in News and tagged Gear, Helmets. Bookmark the permalink.